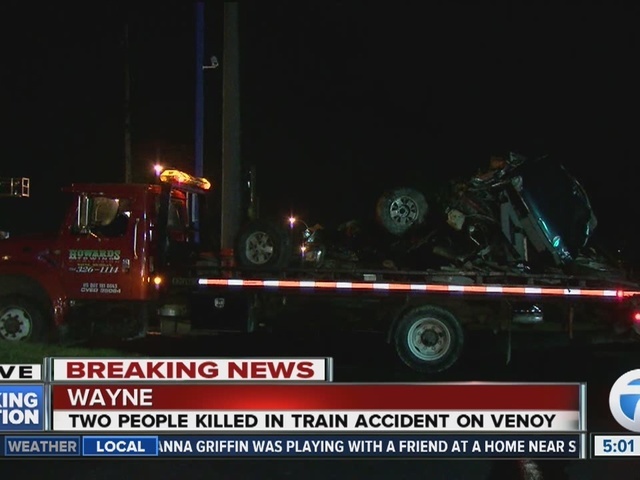 Police in Wayne, Michigan are investigating a deadly accident involving an Amtrak passenger train and a vehicle. The accident happened Wednesday night around 11 p.m. Witnesses on the scene said at least two people were thrown from the vehicle in the accident. Wayne Police say a man and woman traveling in the vehicle were killed. The Amtrak train was held up for a couple of hours and eventually continued on to its Chicago destination. Amtrak says there were no reported injuries to the 90 passengers or crew on the train. The Wayne Police Department and Michigan State Police continue to investigate.